5. Section 138 of the Act provided that where a cheque is dishonoured, the person drawing the cheque shall be deemed to have committed an offence and shall, without prejudice to any other provision of the Act, be punished with imprisonment for a term which may extend to one year or with fine which may extend to twice the amount of the cheque or with both. It may be mentioned that subsequent to the judgment of the learned Magistrate, the said Section 138 was amended (with effect from 6.2.2003) increasing and the period of imprisonment imposable to two years. 6. Section 357 relates to Order to pay compensation. (3) When a Court imposes a sentence, of which fine does not form a part, the Court may, when passing judgment order the accused person to pay, by way of compensation such amount as may be specified in the order to the person who has suffered any loss or injury by reason of the act for which the accused person has been so sentenced." (4) An order under this section may also be made by an Appellate Court or by the High Court or Court of sessions when exercising its power of revision. "A reading of sub-section (3) of Section 357 would show that the question of award of compensation would arise where the court imposes a sentence of which fine does not form a part." This Court also held that section 357(3) will not apply where a sentence of fine has been imposed. "In view of the submissions made, the only question that arises for consideration is whether the court can direct payment of compensation in exercise of power under sub- section (3) of Section 357 in a case where fine already forms a part of the sentence. Apart from sub-section (3) of Section 357 there is no other provision under the Code whereunder the court can exercise such power:"
"On a plain reading of the aforesaid provision, it is crystal clear that the power can be exercised only when the court imposes sentence by which fine does not form a part. In the case in hand, a court having sentenced to imprisonment, as also fine, the power under sub-section (3) of Section 357 could not have been exercised. In that view of the matter, the impugned direction of the High Court directing payment of compensation to the tune of Rs. one lakh by the appellant is set aside." 9. It is evident from Sub-Section (3) of section 357 of the Code, that where the sentence imposed does not include a fine, that is, where the sentence relates to only imprisonment, the court, when passing judgment, can direct the accused to pay, by way of compensation, such amount as may be specified in the order to the person who has suffered any loss or injury by reason of the act for which the accused person has been so sentenced. The reason for this is obvious. Sub-section (1) of section 357 provides that where the court imposes a sentence of fine or a sentence of which fine forms a part, the Court may direct the fine amount to be applied in the payment to any person of compensation for any loss or injury caused by the offence, when compensation is, in the opinion of the court, recoverable by such person in a Civil Court. Thus, if compensation could be paid from out of the fine, there is no need to award separate compensation. Only where the sentence does not include fine but only imprisonment and the court finds that the person who has suffered any loss or injury by reason of the act of the accused person, requires to be compensated, it is permitted to award compensation under compensation under section 357(3). 10. The difficulty arises in this case because of two circumstances. The fine levied is only Rs.2000/-. The compensation required to cover the loss/injury on account of the dishonour of the cheque is Rs.20,000/-. The learned Magistrate having levied fine of Rs.2,000/-, it is impermissible to levy any compensation having regard to section 357(3) of the Code. The question is whether the fine can be increased to cover the sum of Rs. 20,000/- which was the loss suffered by the complainant, so that the said amount could be paid as compensation under section 357(1)(b) of the Code. As noticed above, section 138 of the Act authorizes the learned Magistrate to impose by way of fine, an amount which may extend to twice the amount of the cheque, with or without imprisonment. Section 29 of the Code deals with the sentences which Magistrates may pass. The Chief Judicial Magistrate is empowered to pass any sentence authorized by law (except sentence of death or imprisonment for life or imprisonment for a term exceeding seven years). On the other hand, sub-section (2) of Section 29 empowers a court of a Magistrate of First Class to pass a sentence of imprisonment for a term not exceeding three years or fine not exceeding Rs.5,000/- or of both. (Note : By Act No.25 of 2005, sub-section (2) of Section 29 was amended with effect from 23.6.2006 and the maximum fine that could be levied by the Magistrate of First Class, was increased to Rs.10,000/-). At the relevant point of time, the maximum fine that the First Class Magistrate could impose was Rs.5,000/-. Therefore, it is also not possible to increase the fine to Rs.22,000/- so that Rs.20,000/- could be awarded as compensation, from the amount recovered as fine. 11. The first respondent was a widow and police woman. On the facts and circumstances the learned Magistrate thought fit to impose only a fine and not imprisonment. When the conviction was set aside, the appellant filed a revision, challenging the non-grant of compensation of Rs. 20,000/-. He did not however challenge the non-imposition of sentence of imprisonment. The High Court was, therefore, justified in holding that once the sentence consists of only fine, the power under Section 357(3) could not be invoked for directing payment of compensation. The High Court was also justified in not converting the sentence from fine to imprisonment, so enable itself to award compensation, as the facts and circumstances of the case did not warrant imprisonment. Therefore, we are of the view that the order of High Court does not call for interference. 12. It is of some interest to note, though may not be of any assistance in this case, that the difficulty caused by the ceiling imposed by section 29(2) of the Code has been subsequently solved by insertion of section 143 in the Act (by Amendment Act No.55 of 2002) with effect from 6.2.2003. Section 143(1) provides that notwithstanding anything contained in the Code, all offences under Chapter XVII of the Act should be tried by a Judicial Magistrate of the First Class or by a Metropolitan Magistrate and the provisions of sections 262 to 265 of the Code (relating to summary trials) shall, as far as may be, apply to such trials. The proviso thereto provides that it shall be lawful for the Magistrate to pass a sentence of imprisonment for a term extending one year and an amount of fine exceeding Rs.5,000/-, in case of conviction in a summary trial under that section. In view of conferment of such special power and jurisdiction upon the First Class Magistrate, the ceiling as to the amount of fine stipulated in section 29(2) of the Code is removed. Consequently, in regard to any prosecution for offences punishable under section 138 of the Act, a First Class Magistrate may impose a fine exceeding Rs.5000/-, the ceiling being twice the amount of the cheque. "(a) That directions can be given that the Writ of Summons be suitably modified making it clear to the accused that he could make an application for compounding of the offences at the first or second hearing of the case and that if such an application is made, compounding may be allowed by the court without imposing any costs on the accused. (d) Finally, if the application for compounding is made before the Supreme Court, the figure would increase to 20% of the cheque amount. The graded scheme for imposing costs is a means to encourage compounding at an early stage of litigation. In the status quo, valuable time of the Court is spent on the trial of these cases and the parties are not liable to pay any Court fee since the proceedings are governed by the Code of Criminal Procedure, even though the impact of the offence is largely confined to the private parties. Even though the imposition of costs by the competent court is a matter of discretion, the scale of costs has been suggested in the interest of uniformity. The competent Court can of course reduce the costs with regard to the specific facts and circumstances of a case, while recording reasons in writing for such variance. Bona fide litigants should of course contest the proceedings to their logical end." 14. We propose to address an aspect of the cases under section 138 of the Act, which is not dealt with in Damodar S. Prabhu. It is sometimes said that cases arising under section 138 of the Act are really civil cases masquerading as criminal cases. The avowed object of Chapter XVII of the Act is to "encourage the culture of use of cheques and enhance the credibility of the instrument". In effect, its object appears to be both punitive as also compensatory and restitutive, in regard to cheque dishonour cases. Chapter XVII of the Act is an unique exercise which blurs the dividing line between civil and criminal jurisdictions. It provides a single forum and single proceeding, for enforcement of criminal liability (for dishonouring the cheque) and for enforcement of the civil liability (for realization of the cheque amount) thereby obviating the need for the creditor to move two different fora for relief. This is evident from the following provisions of Chapter XVII of the Act. (i) The provision for levy of fine which is linked to the cheque amount and may extend to twice the amount of the cheque (section 138) thereby rendering section 357(3) virtually infructuous in so far as cheque dishonour cases. (v) The provision making all offences punishable under section 138 of the Act compoundable. 15. The apparent intention is to ensure that not only the offender is punished, but also ensure that the complainant invariably receives the amount of the cheque by way of compensation under section 357(1)(b) of the Code. Though a complaint under section 138 of the Act is in regard to criminal liability for the offence of dishonouring the cheque and not for the recovery of the cheque amount, (which strictly speaking, has to be enforced by a civil suit), in practice once the criminal complaint is lodged under section 138 of the Act, a civil suit is seldom filed to recover the amount of the cheque. This is because of the provision enabling the court to levy a fine linked to the cheque amount and the usual direction in such cases is for payment as compensation, the cheque amount, as loss incurred by the complainant on account of dishonour of cheque, under section 357 (1)(b) of the Code and the provision for compounding the offences under section 138 of the Act. Most of the cases (except those where liability is denied) get compounded at one stage or the other by payment of the cheque amount with or without interest. Even where the offence is not compounded, the courts tend to direct payment of compensation equal to the cheque amount (or even something more towards interest) by levying a fine commensurate with the cheque amount. A stage has reached when most of the complainants, in particular the financing institutions (particularly private financiers) view the proceedings under section 138 of the Act, as a proceeding for the recovery of the cheque amount, the punishment of the drawer of the cheque for the offence of dishonour, becoming secondary. 16. Having reached that stage, if some Magistrates go by the traditional view that the criminal proceedings are for imposing punishment on the accused, either imprisonment or fine or both, and there is no need to compensate the complainant, particularly if the complainant is not a `victim' in the real sense, but is a well-to-do financier or financing institution, difficulties and complications arise. In those cases where the discretion to direct payment of compensation is not exercised, it causes considerable difficulty to the complainant, as invariably, by the time the criminal case is decided, the limitation for filing civil cases would have expired. 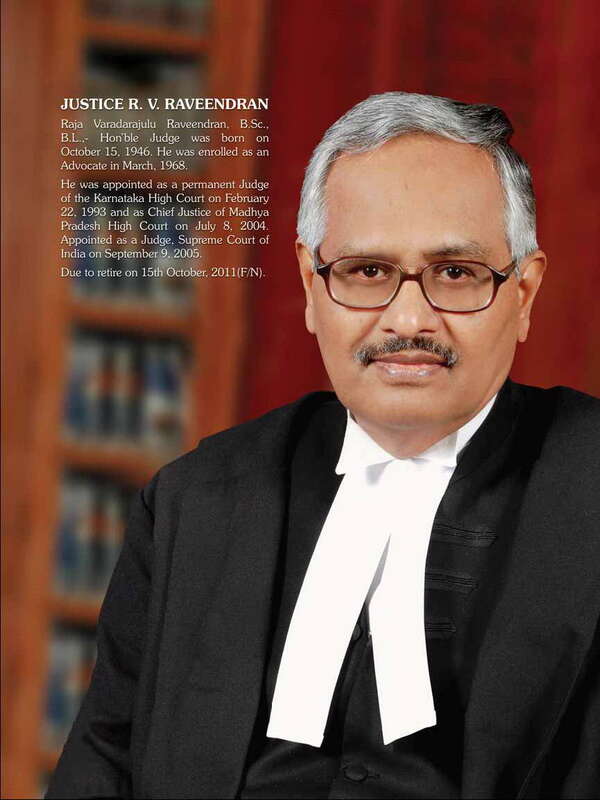 As the provisions of Chapter XVII of the Act strongly lean towards grant of reimbursement of the loss by way of compensation, the courts should, unless there are special circumstances, in all cases of conviction, uniformly exercise the power to levy fine upto twice the cheque amount (keeping in view the cheque amount and the simple interest thereon at 9% per annum as the reasonable quantum of loss) and direct payment of such amount as compensation. Direction to pay compensation by way of restitution in regard to the loss on account of dishonour of the cheque should be practical and realistic, which would mean not only the payment of the cheque amount but interest thereon at a reasonable rate. Uniformity and consistency in deciding similar cases by different courts, not only increase the credibility of cheque as a negotiable instrument, but also the credibility of courts of justice. 17. We are conscious of the fact that proceedings under section 138 of the Act cannot be treated as civil suits for recovery of the cheque amount with interest. We are also conscious of the fact that compensation awarded under section 357(1)(b) is not intended to be an elaborate exercise taking note of interest etc. Our observations are necessitated due to the need to have uniformity and consistency in decision making. 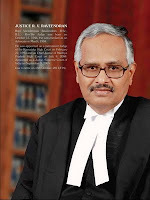 In same type of cheque dishonour cases, after convicting the accused, if some courts grant compensation and if some other courts do not grant compensation, the inconsistency, though perfectly acceptable in the eye of law, will give rise to certain amount of uncertainty in the minds of litigants about the functioning of courts. Citizens will not be able to arrange or regulate their affairs in a proper manner as they will not know whether they should simultaneously file a civil suit or not. The problem is aggravated having regard to the fact that in spite of section 143(3) of the Act requiring the complaints in regard to cheque dishonour cases under section 138 of the Act to be concluded within six months from the date of the filing of the complaint, such cases seldom reach finality before three or four years let alone six months. These cases give rise to complications where civil suits have not been filed within three years on account of the pendency of the criminal cases. While it is not the duty of criminal courts to ensure that successful complainants get the cheque amount also, it is their duty to have uniformity and consistency, with other courts dealing with similar cases. 18. One other solution is a further amendment to the provision of Chapter XVII so that in all cases where there is a conviction, there should be a consequential levy of fine of an amount sufficient to cover the cheque amount and interest thereon at a fixed rate of 9% per annum interest, followed by award of such sum as compensation from the fine amount. This would lead to uniformity in decisions, avoid multiplicity of proceedings (one for enforcing civil liability and another for enforcing criminal liability) and achieve the object of Chapter XVII of the Act, which is to increase the credibility of the instrument. This is however a matter for the Law Commission of India to consider. Good keep it up. But solution of my problem is not traceable. This will helpful for ordinary people.